The Best of Teacher Entrepreneurs II: PRONOUNS! 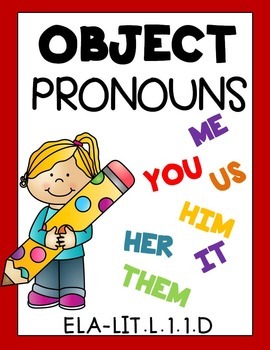 OBJECT PRONOUNS - Grade 1 Common Core Aligned 27 Pgs PRINT-N-GO! PRONOUNS! OBJECT PRONOUNS - Grade 1 Common Core Aligned 27 Pgs PRINT-N-GO! 12 Fun Interactive Worksheets all on object pronouns! Science Lesson - "Musical Sounds"
FREE HANDWRITING LESSON - "My Melted Snowman"